South East Asian Airlines will offer a “Buy 1, Take 1” Batanes roundtrip promo and up to 70% off on Boracay tickets the 18th Travel Tour Expo, SMX Convention Center, SM Mall Of Asia on February 18 to 20, 2011. 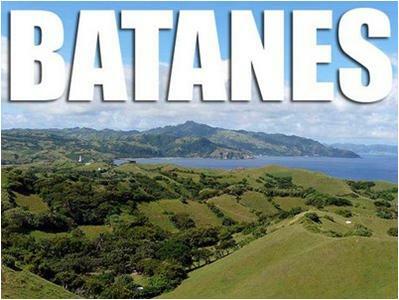 Travellers can purchase Batanes roundtrip tickets good for two at only PhP 16,160 all-in and Boracay one-way tickets at P1,616.00 all-in for travel on March 1 to October 15, 2011. Promo is for limited seats only. Boracay vacationers can also avail of special rates for the SEAIR Leisure Escape Packages (LEP) exclusively at the 18th Travel Tour Expo for as low as PhP 4,977 per person for travel on June 5 to October 15, 2011. Packages already include three days, two nights’ accommodations at partner hotels, daily breakfast, and roundtrip airfare. Special peak season promo rates can be for as low as PhP 6,002 per person for travel on March 1 to June 4, 2011. The Boracay experience is further enhanced with the SEAIR special service advantages for Caticlan-bound passengers. Passengers enjoy complimentary transfers from the Caticlan airport to Boracay and vice versa, the shortest queues and airport check-in procedures, the fastest baggage claims, and exclusive boarding pass privileges in partner establishments in Boracay and Manila. 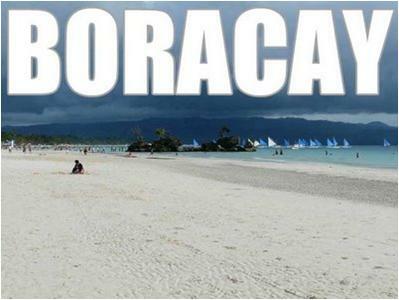 SEAIR offers the fastest flights to Boracay at just 35 minutes. SEAIR helped developed the northern province of Batanes into the major tourist destination that it has become today. The province has four seasons (winter, spring, summer and fall), a quaint rural vibe and a beauty similar to the idyllic European countryside. With green pastures overlooking the Pacific Ocean, and windmills and lighthouses dotting its pastoral landscape, Batanes is now becoming the next best year-round destination in the Philippines. The airline has been serving key tourist destinations since 1995 and has the longest history of uninterrupted service to Boracay direct via Caticlan with SEAIR having the fastest flight. SEAIR is the nation's second-oldest airline and has flown almost 3 million passengers to local destinations including Basco (Batanes), El Nido, Tablas (Romblon), Cebu, Clark, Taytay (Palawan), and Kalibo (Aklan). It has recently opened a new route in Vigan. SEAIR also offers the most routes from Caticlan with flights from Caticlan to Manila v.v., Caticlan to Clark v.v. and Caticlan to Cebu v.v. The Travel Tour Expo is considered the biggest event for the travel and tourism industry with over 80,000 visitors last year and 416 booths showcasing various travel-related products and services. It is organized by the Philippine Travel Agencies Association (PTAA) in cooperation with the Department of Tourism. To purchase tickets, visit www.FlySeair.com or call 849-0100. For packages, call SEAIR Leisure Escape Packages at 843-7308. Join SEAIR Facebook Fan Page at http://www.facebook.com/flyseair for updates on promos and new routes. Traveling has become most common hobby these days. People travels either to discover new places or to find out about different ethnics, cultures and traditions. People can travel on jobs or businesses or even for fun, to enjoy time with the family. I think it’s a good thing to visit different places because it will increase our knowledge.